The SEC has signaled it may move forward with an item on many board directors’ wish lists in 2019: shareholder proposal reform. “[I]t is clear that we should consider reviewing the ownership and resubmission thresholds for shareholder proposals,” SEC chair Jay Clayton said at a December conference at Columbia Law School. Critics of the current system say it drives issues such as “zombie” shareholder proposals that return to company ballots year after year with little support. However, investors argue that the system provides an important avenue for shareholders’ voices to be heard, and want the rules to stay the same. 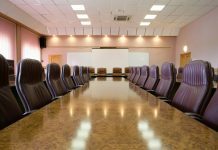 Meanwhile, boards are also zeroing in on the issue, sources say, particularly as companies are receiving more shareholder proposals regarding environmental, social and governance issues for the upcoming proxy season. Since 1998, Rule 14a-8 has allowed shareholders with $2,000 or a 1% stake in a company to submit a non-binding shareholder proposal for inclusion on the company’s proxy statement for a vote at the annual meeting. 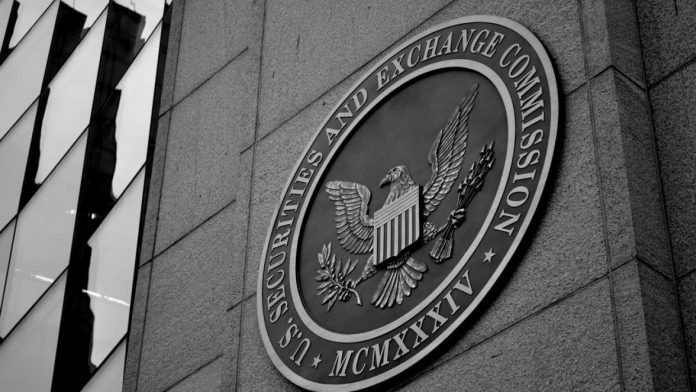 Companies can reject the proposal if they successfully argue to the SEC that it falls under the purview of one of the SEC’s no-action rules, such as ordinary business or economic relevance. The resubmission portion of the rule, established in 1954, requires proposals to have received at least 3% support upon first submission, 6% on the second submission and 10% on the third to be submitted the following year. In 1997, the SEC proposed increasing these support thresholds to 6%, 15% and 30%, respectively, but that proposal was never adopted. The issue has recently been shoved back into the spotlight with the growth of ESG-focused investing, according to Tim Doyle, vice president of policy and general counsel at the American Council for Capital Formation, a nonprofit corporate advocate. ESG proposals are on the rise and typically garner only a small percentage of the shareholder vote, but often amount to big headaches for companies during proxy season. One of the most widely cited issues with the current shareholder proposal rules is the cost for companies to deal with proposals in terms of time and money. According to a 1997 survey by the SEC prior to the update of Rule 14a-8 in 1998, “the costs of making a determination whether to include a proposal reported by 80 companies averaged approximately $37,000.” This is the most recent SEC data available on the costs associated with shareholder proposals. However, data from the U.S. Chamber of Commerce published in 2009 puts this figure closer to $87,000 on average. Meanwhile, “gadfly” proponents often submit the same proposals at several different companies and don’t make other efforts to engage the company on the issue, says Ronald Mueller, partner in Gibson Dunn’s Washington, D.C., office and a founding member of the firm’s securities regulation and corporate governance practice group. The SEC has received numerous petitions and comment letters to change the current shareholder proposal rules. One common change proposed by several stakeholders includes raising the submission threshold to adjust for inflation. Indeed, many constituents, including the Business Roundtable, want the SEC to also increase the resubmission requirements. Although no rulemaking or guidelines have been proposed, Hooper predicts the SEC may raise the ownership threshold from $2,000 to $5,000 or $10,000 and raise the amount of time the shareholder has had a stake in the company from a minimum of one year to a minimum of three years to submit a proposal. “This would allow companies to focus on shareholder proposals submitted by more long-term investors who may have more skin in the game,” Hooper writes. Doyle also suggests the SEC could implement a “time-out” phase for proposals. If a proposal gets a certain low percentage of support for a certain number of years in a row — he suggests three — then the shareholder wouldn’t be allowed to submit the proposal again until after a certain number of years. Additionally, Doyle says shareholders should also have to explain how the proposal would increase shareholder value, whom the shareholder is submitting the proposal on behalf of, and how many companies the same proposal has been introduced at and why. He adds that if there is a larger issue the proposal is trying to get at, that should be also disclosed. Meanwhile, most shareholder groups are largely against any changes in the shareholder proposal process. “Our experience is that the shareholder proposal process is integral to dynamic corporate governance, not just a question of whether [a proposal] gets majority support, but how [proposals] affect the entire process of engagement between and among shareholders and companies,” says Sanford Lewis, director of the Shareholder Rights Group, an investor association. Lewis says although the investors who submit proposals are often small holders, they typically call attention to serious risks companies should be paying attention to. For example, he cites a proposal submitted at agricultural company Monsanto in 2016 and again in 2017 that only reached about 5% support each time. The proposal warned of the financial and operational risks associated with potential health impacts posed by its signature Roundup weedkiller product. The proposal was not eligible for resubmission in 2018. Monsanto has faced hundreds of lawsuits over these health risks, and last August a California jury awarded $289 million to a man whose cancer was attributed to the weedkiller — just weeks before Monsanto’s acquisition by German pharma giant Bayer was completed. Fears that more legal costs over Roundup could be coming sliced billions of dollars from Bayer’s market cap — dropping from $99.1 billion in August 2018 to $64.8 billion in November 2018. 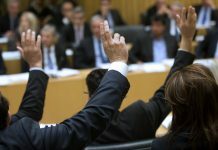 One of the more common arguments on the investor side is detailed in a paper by the Council of Institutional Investorsreleased last November: Most proposals that are resubmitted receive either higher support in subsequent votes or are taken on in substance by companies through shareholder engagement. The process has resulted in widespread adoption of governance best practices such as the majority voting standard, the paper argued. Higher resubmission thresholds may have hindered this progress. Indeed, Lewis says often a proposal will get withdrawn if the company takes action. A staff legal bulletin issued in 2017 directed boards seeking a no-action letter from the SEC under the economic relevance or ordinary business rules to provide an analysis of why the proposal should be excluded. The SEC further explained what the board analyses should look like last year in a separate bulletin. Ultimately, directors should keep in mind that the SEC may be changing shareholder proposal rules this year, but in the meantime, shareholder engagement is still of utmost importance, sources say. 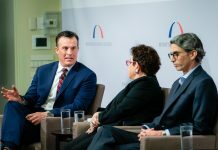 “I think 2019 is going to be a fairly active period in this space at the SEC, and it will be interesting to see to what extent these rules might be changed,” Doyle says.